Publishing is hard. I am, therefore, particularly proud of all my clients who have seen it through to a victorious end. In this third novel (and the second one I've edited), Brownell takes a turn for the literary with this coming-of-age story set in WWII. The events of the story explore what true courage means, as well as how to find yourself and keep your humanity under the most inhuman of conditions. 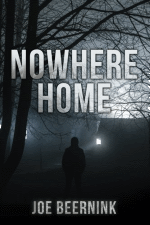 What happens when you struggle through unimaginable hardships to come home, only to find that the home you've returned to is nothing like the home you left? 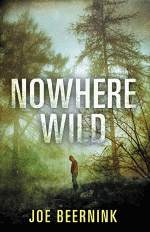 That's the situation Jake and Izzy face in this sequel to Joe's 2015 novel Nowhere Wild (see below). Home has changed in ways that reflect both the best and worst of humanity, forcing Jake and Izzy to decide not just what to do, but what kind of people they want to be. We usually remember World War II in its broad, sweeping scope. We remember tales of Rommel in Africa, the British cracking of the Enigma code, the D-Day landing, and always, the numbers. Six million Jews murdered. Twenty million dead in Russia. But the broad view is made of countless narrow views--individual stories of people and their families. In this book, Peter Curtis has turned his own family's story of pursuit by the Gestapo and escape to safety into a novel that reminds us of the intimate, human costs of war. Thematically, this book reminded me of that old Harrison Ford movie, Witness, in so far as it is a dark mystery set within a closed religious community. 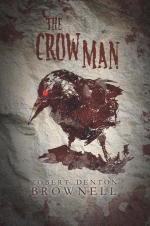 The Crow Man, however, is set in the present day and is told from the viewpoint of a young boy living in the community, rather than from the viewpoint of an outsider. 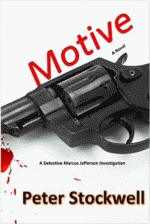 A good read for fans who like their mysteries laced with murder and conspiracy. A fellow I know from my day job wrote this book for his daughter. 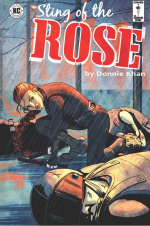 When he asked her what powers she would have if she could be a superhero, she answered "rose powers." The result, a few years and much revision later, is this comic-book inspired, action filled thriller. What powers does a rose have, you ask? No spoilers from me, but I will say that I doubt Donnie's answer will be quite what you'd expect. 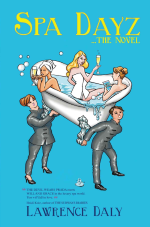 What do you get when you throw an unsuspecting and unemployed young man into the role of desk manager at an upscale New York day spa frequented by a host of zany clients and co-workers? A comedic romp of drama, friendship, and self-discovery through a rarely-seen side of the Manhattan glamour scene. Several years have passed since I worked on this novel, and to this day I remember it as an extremely deft blend of action, suspense, humor, and pathos. Others must agree, because the book won first place in the Writer's Digest Self-Published eBook Awards, Genre Fiction. I remember this book very well for the feeling I had that Lawson put just as much work into the supporting players as his main characters. Every character in the book has something about them that will stick in your mind. The writing is clean and fluid, the characters are memorable, and the story will keep you entertained from beginning to end. 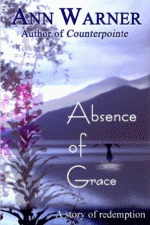 I wish I had more to say about this book, considering that Lawson won the PNWA literary contest with it and was a finalist for the Nancy Pearl Book Award. But as he mentions in his testimonial (see sidebar) this is the book he sent to me as a very early exploratory draft. 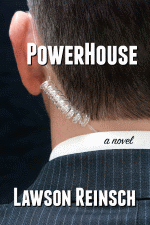 As I recall, the book is a prequel to Powerhouse. I don't know where he ultimately took the plot, but given the book's accolades I can only conclude that his explorations led to entertaining places. A riveting survival thriller in the remote woods of northern Canada, quite unlike any other YA dystopia novel I've read. This is a great high-tension story with complex characters and an emotional core that doesn't quit. I think Joe has worked harder than any other client I've ever had. He had me work this book over twice, with extensive revisions in between, and even more revisions after. Every bit of his effort shows in this novel's solid prose, brisk pacing, and its ability to keep me on the edge of my seat even reading it--for the third time--in its final published form. 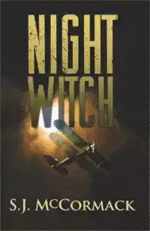 This WWII novel follows Raisa Tarasova's life in Russia's all-female flying unit, the Night Witches, as they defend Russia against German invaders. 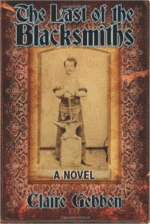 Based on true events of a group of patriots almost unknown in the west. 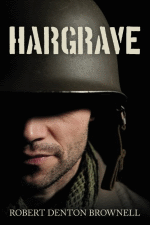 Perfect for fans of history, strong female protagonists, and WWII stories. This is a truly wonderful historical romance, one that excels in both the history and the romance. 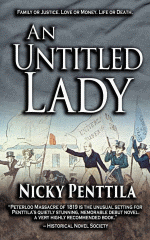 I appreciated this story for the real historical events that surround it, for the capably drawn characters at its center, and for Nicky Penttila's clear yet lyrical prose. This book was a joy to edit and a joy to read. 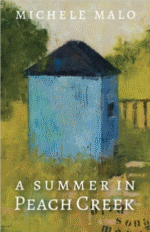 I critiqued an excerpt and outline of this book for Claire through a workshop I did for the Northwest Institute of Literary Arts MFA program's alumni association. Claire's writing is solid, her research superb, and her portrayal of the gritty world European immigrants faced upon entering mid-nineteenth century New York City is very vivid. I often have to teach my clients not to be afraid to let bad things happen to their characters, yet I remember quite clearly even in the short excerpt I worked on that Claire needed no such lesson. If one were to imagine To Kill a Mockingbird, but make Scout Finch a few years older, make her a visitor to her relatives in Peach Creek instead of a resident of Maycomb, and expand greatly the scope of the scandal that embroils the town over the course of one hot, humid season, then you might well end up with Malo's A Summer in Peach Creek. While this book is a murder mystery, it is more of the softer, cozy kind, in a way that reminds me of Alexander McCall Smith's No. 1 Ladies Detective Agency series or Alan Bradley's Flavia DeLuce novels. I cannot state strongly enough how much I respect Sarah L. Blum. Her book is one of the first books I ever edited, and was the first book I worked on where I felt I was working to a higher calling than mere literature. Women Under Fire is Ms. Blum's broadside against the sexual abuse against women in America's armed forces. I was shocked by what I learned about the deeply entrenched culture of abuse and the systemic power structures that perpetuate it, protect the abusers, and punish their victims. America's military has a problem, and I know Sarah Blum will not rest until it has been properly addressed. J.L. 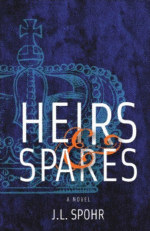 Spohr pours equal and ample measures of intrigue, history, and political unrest into this romance in the fictional duchy of Troixden. And though it has been a while since I worked on the book, I seem to recall a bit of good old-fashioned jousting in there too. This one is sure to go down well with readers who like a bit of literary flair in their romance. 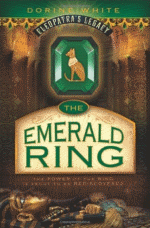 An antique emerald ring, a trio of kid adventurers, unexpected powers, and a centuries-old conspiracy all combine in the first book of Dorine White's Cleopatra's Legacy series. This book is a fun, Egypt-themed contemporary romp for middle-grade readers. And if I may say so, an excellent companion book to my Bread for the Pharaoh. Or vice-versa! 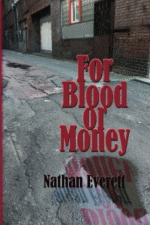 A murder mystery with more twists and turns than a snake on speed, written with a strong psychological flavor. Readers who enjoy getting into the heads of not-so-nice characters will find much to appreciate here. There's so much I would want to tell you about this book, but I wouldn't want to spoil any of it. It's no spoiler to say it's a romance, but one with unusual characters, set in an unusual but very well drawn location. It's no spoiler to say the characters are complex, flawed, and utterly human. It's no spoiler to say that the writing is both beautiful and poetic. It would be a spoiler to say anything about the twist, though, so I'll shut up. This cyber-thriller follows the exploits of computer forensic expert Dag Hamar as he gets drawn far deeper than he'd like into pursuit of a serial kidnapper, where chasing the bad guys down in the real world is not at all like chasing them from behind the comfort of a keyboard. 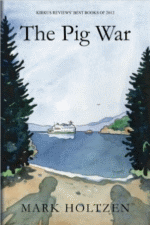 This story, set over a summer in which Kell and his younger sister Grace spend with their crotchety grandfather on Mobray Island in the Puget Sound, deftly mixes the present with the past as Kell and Grace's adventures on the island reveal to them secrets of the island's history in the titular "Pig War" of 1859. I found this to be a very family-friendly adventure story, with enough hijinks and drama to keep readers interested while avoiding the easy clichés of death and violence that too often pass for excitement. A great book for more sensitive young readers. 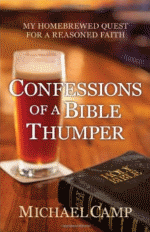 Part memoir, part religious quest this book goes deep into the Bible--its words, is history, and its historical context--in Michael Camp's journey from unquestioning fundamentalism to what he calls a "vibrant but reasoned faith." Without ever becoming preachy or dogmatic, Michael shares his exploration of the Bible's message as intended by its original writers, how that message has come to be understood differently today. I must admit rather a long time has passed since this manuscript crossed my desk, and I am fuzzy now on what the story was like. I do remember that it was a YA thriller, whose overall theme was virtual reality, but with a "what's really going on" twist that raises rather more interesting metaphysical questions than I'd have expected for the genre. This is a literary thriller in the most literal sense, following the globe-trotting exports of Professor Keith Drucker and rare books librarian Madeline Zayne as they race to uncover the secret Johannes Gutenberg hid in a secret book he printed just before his famous Bible. I enjoyed the heck out of this book, as I expect would fans of The DaVinci Code who are ready for something a cut above. 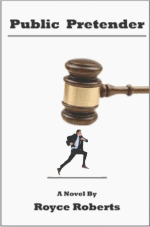 What happens when an up-and-coming corporate lawyer accidentally drives his career off a cliff and finds himself scrounging for work as a public defender in the juvenile court system, suddenly dumped out of the world of Armani suits and into the world of absentee parents, drug abusers, and petty criminals? Told with a wry sense of humor, Royce Roberts reveals how Gavin Young may have to walk away from Armani, but might just discover his soul. This light-hearted adventure follows simple village boy Steven on his quest to find and slay the dragon, with little by way of assets but his increasingly improbable hat. 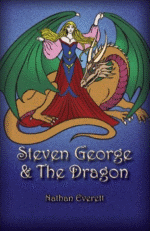 Told as a series of fables and fairy-tale episodes that play on the classic "St. George and the Dragon" legend, each chapter is its own story that leads towards Steven's encounter with the titular dragon. Though framed as a sequence of linked fairy tales, the book does contain some thematic elements that are not appropriate for children. 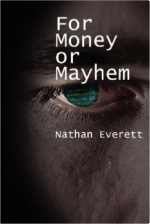 This is Nathan Everett's first Dag Hamar novel (see For Money or Mayhem, above), though chronologically it is set at a later point in Dag's life. In this episode, Hamar tries to crack a missing persons case using clues on the laptop of the missing man. The man happens to be Dag's best friend from years past, and the question is, did he run off with the billion dollar fortune, or was he murdered for it? 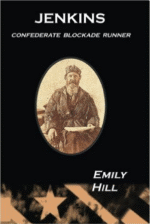 In doing genealogy research, Emily Hill discovered that one of her ancestors was quite the colorful character. This book is her narrative biography of C.T. Jenkins, his life, and his exploits before and during the Civil War. 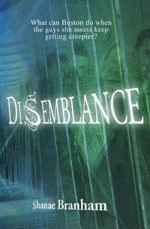 This was the first novel I ever developmentally edited end-to-end. I couldn't have asked for a better introduction to the job but to have the opportunity to work on a great story with real heart to it. 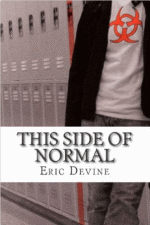 This is a coming-of-age novel of a boy confronting a diagnosis of diabetes along with all the usual challenges of high school. Capably written with believable plotting and sympathetic characters, this book is both a sensitive and unflinching look at what it means to live with a chronic condition as told by someone who knows the details everyone else could never imagine. I have thought on numerous occasions how helpful your comments about my manuscript were, and I incorporated a number of your ideas that I feel made the story hold together much better. I wanted to thank you again for your astute, helpful comments, both as editor and reader. I skimmed through the notated manuscript this morning, compiling my list of elements, per your suggestion. Your empathy throughout really moved me. I've got my work cut out for me, but am glad I went with you. Jason read my manuscript closely in order to get a full understanding of my characters and their motivations relating to the plot. He questioned, prodded, constructively criticized and encouraged me through the editing process, always explaining the reasoning behind his critiques. With his feedback in hand, I was amazed by the direction the story took. I will most certainly work with him again on my next project. Thanks to Jason, I am very proud of my novel and most importantly, I'm a better writer. I can't say enough good things about Jason's developmental edits on two novels, one on an exploratory first draft and one that I had taken through final revisions. His feedback was insightful, clear, and specific, strengthening both books. I particularly appreciated his deep understanding of science, technology, engineering and math--which factor heavily in these stories--and Jason handled the content with aplomb. Ultimately, he didn't just improve my manuscripts; he helped me become a better writer. If you're serious about your craft, get on Jason's schedule today. Jason provided me with a very detailed review of the manuscript, with dozens of changes to make. I highly recommend Jason's services. He taught me so much about how to not only improve that story, but also how to improve my style, and what to look for when doing my own editing. I am in awe of the depth and vision of your report on my manuscript! Thank you so much. Wow-such great detail! Thank you. I have read [the report] through only twice, but already I can see how helpful it will be once I absorb it all. This is exactly what I needed and wasn't getting from my beta-readers. My deepest gratitude to you for your feedback on my book. 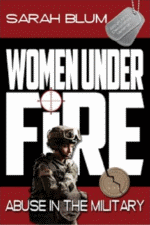 I took your feedback and worked with it and now have a publisher for the book Women Under Fire: Abuse in the Military. First off, thank you, thank you. Your suggestions are absolutely going to make the book better and help me be a better writer in turn. Even my very frugal husband even said you're worth every penny! You were an amazing help on The Emerald Ring. Thank you so much. Jason delivered much more than he promised. He took an out-of-control story, found its heart and provided me with comments and examples that were substantive and specific enough to lead me to see what I needed to do to fix it. The further I read into his report, the more pleased I was at the depth of his insight. By the time I finished reading, I was excited about trying some of his suggestions. [His] insights are ones that will help me improve not only this book, but everything I write from now on. I could read books on craft, and analyze my favorite authors, but none of that would be as helpful as reading an analysis of what I tend to do in MY writing. Your report is like a personalized reference guide. Even if this book is never published, the detail you showed in your response is extremely helpful to the way I will approach my revisions. Plus, your thoughtful comments will serve as little alarm bells as I write anything new. Excellent job! You have done just what I had hoped. Not only have you provided concrete suggestions on how to improve the flow, consistency, and style, but have challenged my reasoning and found some holes so I know how to strengthen the arguments. I found most of your specific suggestions for changes spot on. Thanks again for all your hard work! I'm glad to refer your work to others. Your analysis of my book really helped. It took me six months to really think it through, but I am finally revising and I like the product. Jason did a great job reviewing my book. He put in an enormous amount of work and thought into his report, which provided a global critique of my novel as well as detailed suggestions. He clearly explained why his suggestions would make the novel better. 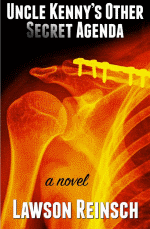 Without his help, I would not have published my first novel, Public Pretender. It was definitely money well spent. I am totally thrilled to see your analysis of my book. Thank you so much. You said in your presentation to the Pacific Northwest Writers Association meeting that you think of yourself as a personal writing coach; your self-assessment couldn't have been more point-on! Any new writer's efforts can only be improved by collaborating with a good editor. This is certainly the case with you; your skill and even hand has made my debut novel a joy for my friends and family to read. 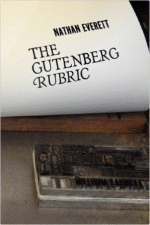 I've just had Jason review my rough concept and scenes for The Gutenberg Rubric and can't tell you how helpful his comments are. His insights into believability of characters, situations, and my occasional too-contrived plot twists really help me focus on what is important and valuable in my concept and what is really me wandering along trying to find a plausible motive for a behavior that I want. The degree and quality of Jason's work is astounding. My work will be vastly improved because of his vision. Thanks so much for your help. Your perceptions regarding my plot and character development are especially helpful to me. I knew there were weaknesses, but you have pinpointed them which will vastly speed up my process of revision. If I had not used your services, I would have set the book aside for a long while to distance myself from it, but perhaps still would not have found the cures. You've given me a solid basis for a good rewrite, and I'm now much more enthused about my project, even about the arduous task of revising! I just read your Readthrough Report and want to thank you so much for all the great feedback! It is extremely helpful. I think I learned more from reading your report than I have from all the writing classes I've taken this past year, combined. I stayed up (too late) and read your project report, and I have to say I'm impressed with not only the depth and breadth of your feedback but also the manner in which you give your comments. I felt like you were sitting across the table going over each chapter with me, and the insight I've gained from hearing your first reactions to each chapter is invaluable--and encouraging. Other than a good friend who only offers positive feedback, no one had read the entire manuscript, and so of course I was apprehensive. I wasn't even sure the premise was believable. Your encouraging words have given me a big confidence boost. In the 45 minutes or so I've had to skim your edits, I have only begun to scratch the surface of your observations and suggestions. I can already see that no one I have worked with up to now has ever provided the depth and breadth of feedback you have supplied...and I have been in a writing group for over 10 years, taken Hugo House classes, worked with a variety of teachers and a couple of editors. The suggestions I have read so far are spot on. I've had several ah-ha! moments already. I am deeply grateful for your encouraging and supportive words. I am going to dust the novel off, work it again with your comments as a guide, and get it back out there into the world. I'm amazed at your comments on the manuscript. They are what I've been actually yearning to hear. Your advice about weaving [background] information into the story is genius. When I read your suggestions, my brain actually moves--in a good way. Your intelligence and the things you caught, questioned, and pointed out in the manuscript astound me. Thanks again! I would still recommend you highly to anyone who asks, and for a good reason. A couple of years ago, I saw your presentation on 'Showing, Not Telling,'' and thought it about the most brilliant presentation I have ever seen at a writer's conference.